I love seeing updates at the DNA sites – Sometimes looking at results in a different way can give you new insights to your DNA and your family tree. 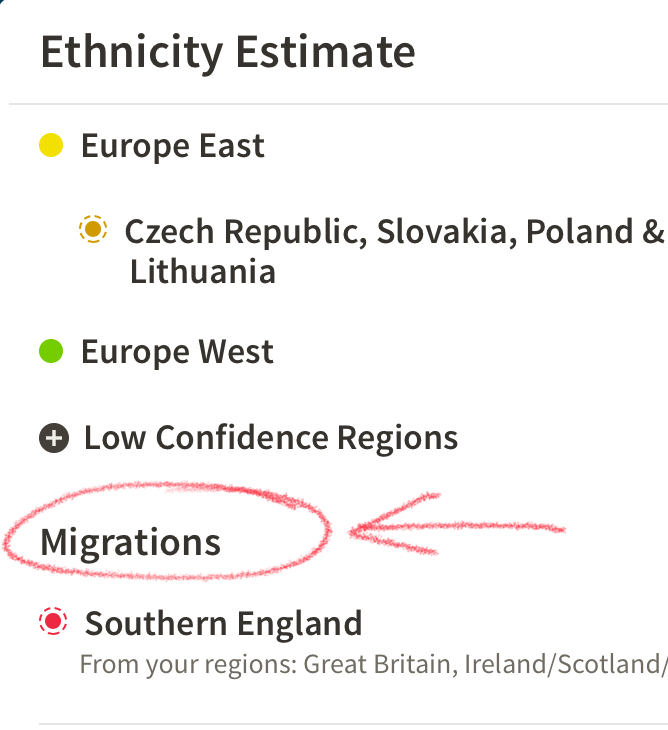 I really like the new format and DNA Story at Ancestry – now I can see my Ethnicity & Genetic Communities all in one place. I think it is much clearer. I also like that “Ireland” is now “Ireland/Scotland/Wales” as it was often confusing for people to see that they were in the “Ireland” category, even though they knew they had Scottish or Welsh ethnicity. My sister, however, has no Genetic Communities – so she has no regional areas in her Ethnicity Estimate. She is my full sibling, but we have quite different Ethnicity due to the randomness of DNA inheritance. So my story starts in 1725 (this could be different for you, based on your regional breakdown. My sister with no regional breakdown starts at 1700). In 1725 I have direct ancestors in my tree that were in Scotland and England. These have been pinned onto the map for me. 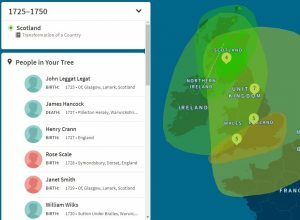 Your direct ancestors will be pinned to your map, based on the time period in your tree (and the location you have used in your tree). 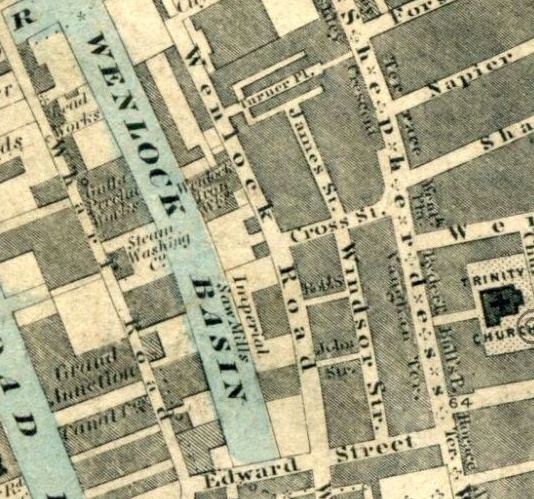 NB: Locations can be tricky – if you get them wrong then your map will be wrong! I try and follow good practice with Location names – using “town, county, country”. 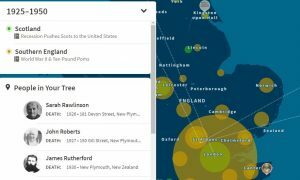 Missing out the country can be disastrous as many UK town and county names are also used in the US, the default location can become the US if you are not careful. 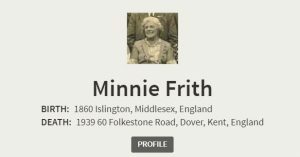 Clicking on the pins – I can drill down to all the names of people that are in my tree in 1725-1750. 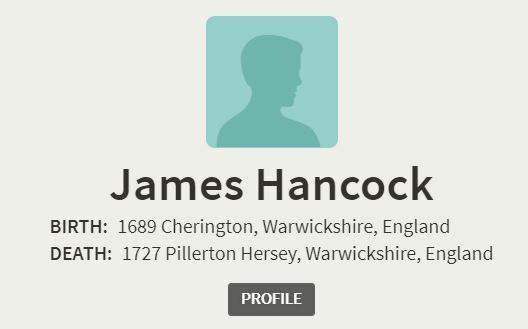 One of those is James Hancock my maternal 7x Great Grandfather. 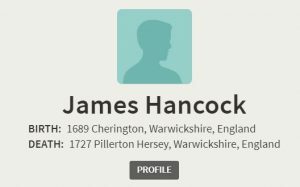 We have done some Y DNA testing on this branch and confirmed we are indeed related to the Hancocks of Pillerton Hersey in Warwickshire. Moving along the timeline to 1750 I now have an ancestor popping up in Northern Ireland. 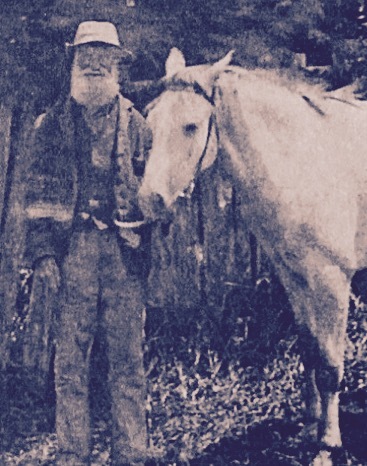 This is William Rutherford, my paternal 5x Great Grandfather. 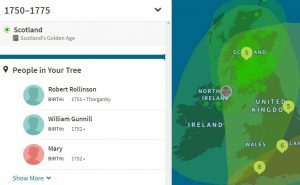 We suspect our Rutherfords were part of the Ulster Plantation as Y-DNA testing does show them to have been from the Scottish borders (but I’ll save that story for another blog). For now I have a paper trail for William that goes cold in Annahilt, County Down. By 1800-1825 I have a lot more direct ancestors in my tree, from a genealogy point of view records from this era are starting to be easier to find, so I have been able to get some branches back this far. 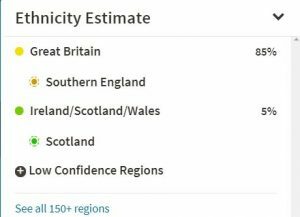 Interestingly my Southern England Genetic Community has also kicked in now, which seems to align with the fact I also have a lot more ancestors popping up in Southern England. Although the world has started to see migration (see the dotted lines at the top of the map) – at this point of time my ancestors are still firmly planted in Ireland, Scotland & England. In a few years time, many of them will be heading off to New Zealand! 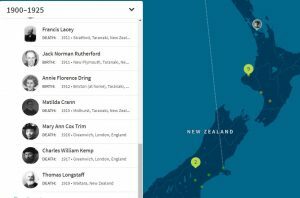 By 1900 I have 20 direct ancestors alive in the world – 8 of them still in the UK and 12 of them now in New Zealand. Zooming into the map, I can see where the 12 of them lived. By this point in history 3 out of 4 of my grandparents were in New Zealand, with my Paternal Grandmother still in London. 1925-1950 all my Grandparents are now in New Zealand and only 2 direct ancestors remain alive in England. One in Hull (my maternal Great Great Grandfather Robert Dring who died in 1937), and one in Dover (having moved from London) my paternal Great Great Grandmother Minnie Frith who died in 1939. By 1950 all my direct ancestors where living in New Zealand. 15 of them were alive. I have also seen some kits where people belong to a “Migration”. 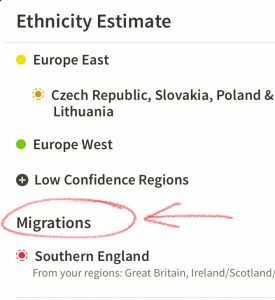 However as none of my family fit into a Migration, I’m showing an example here for illustrative purposes only, this is not from my DNA story. 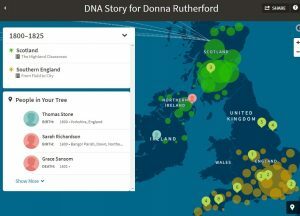 So that was a tour of my new DNA story at Ancestry – where my family started, and how and when they migrated. Along the way I’ve been able to read about what other people within that region were doing. For example I read that in 1925-1950 Scotland was in recession with many people moving to the United States. This information was really interesting as many of us, including myself, see a lot of DNA matches that are living in the US. Even more interesting I have a Scottish mystery around who exactly was my 3x Great Grandfather, just recently I believe I may have now solved the puzzle thanks to a DNA match in Los Angeles, California … indeed the Robertson descendants left Scotland for the United States. Well my 1725 – 1950 story seemed to go quite fast and now comes to a close – but fascinating that we can see it like this as result of our DNA tests. What does your DNA story look like? I have looked at all this on my DNA site but it seems as though it is all my ancestry tree research placed on a map and linked to my DNA ethnicity, it is just another way of illustrating the information I already have. Ancestry had all this information without my saliva sample, am I missing something? I am not sure what I expected but the only people I link with are already people with trees I have already linked with! Ancestry didn’t have your ethnicity without your sample and this is the basis of your DNA story. If you have a regional breakdown, this is calculated using the Genetic Communities methodology … whilst it’s not from your DNA it does not use your tree. The regional/Genetic Communities categories are based on all the information held at Ancestry (basically we’ve all created these categories together) and then you are moved into a category based on your DNA matches and how strongly you fit a community. 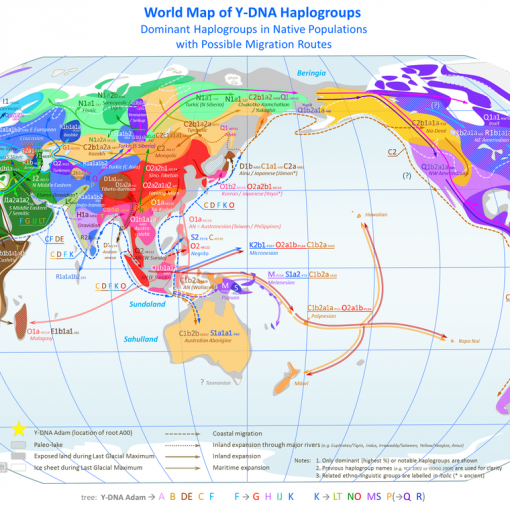 This means even people without a tree (or not even knowing their bio family) are able to have a DNA story even including a regional breakdown. Thanks Catherine! I’m acutally a New Zealander (now living in the UK). Some of my family migrated via Australia and some went straight to New Zealand. LivingDNA matching should be ready next year, in the meantime though, you can download your LivingDNA file and upload it at the GEDmatch Genesis site (it’s their beta testing site) where you can get Matches. Why can I not see the full DNA story? It only shows the top two regions on a pie chart, “plus two other regions”. When I push the green bar “Discover your DNA Story”, then a comment comes up to say there are no changes… no other info is available. It does not show me anything else, no breakdown. 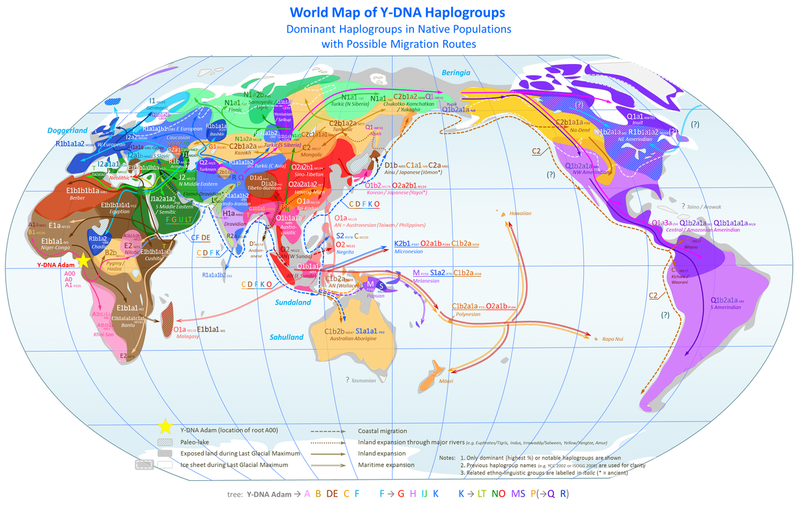 Also, it shows that the Great Britain region is half of the DNA but how is this possible when for the past over 500 years there has been no one from my ancestors who came from Great Britain? Sounds unusual to not show all the regions on the pie chart, I think you need to speak with Ancestry about that. Remember that the ethnicity estimates are just estimates and may not reflect your paper trial. The estimate may go back a thousand years. Whilst you may have gone back 500 years on one or more branches, it’s highly unlikely there that anyone can go aback 500 years on ALL their branches. Autosomal DNA covers all branches. It’s also possible your tree is wrong or there has been an NPE. I would however consider taking the ethnicity estimate with a grain of salt and work with your matches to confirm your paper trail. 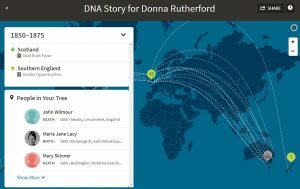 Most of my recent blogs are about Genetic Genealogy, but there are a few others about specific family members or particular research I’ve been doing.